สมญา: "City of Legends", "Newfiejohn", "Sin Jawns", "Town"
↑ "St. John's – City of Legends". Memorial University. 13 February 2009. Archived from the original on 4 January 2015. สืบค้นเมื่อ 4 January 2015. ↑ "Remembrance - Veterans Affairs Canada". Vac-acc.gc.ca. 2015-01-26. สืบค้นเมื่อ 2015-04-27. ↑ "Search: Dictionary of Newfoundland English". Heritage.nf.ca. Archived from the original on 11 November 2013. สืบค้นเมื่อ 27 April 2015. ↑ Statistics Canada. "Population and dwelling counts, for Canada, provinces and territories, and census subdivisions (municipalities), 2011 and 2006 censuses". สืบค้นเมื่อ 2015-06-21. ↑ "St. John's". Natural Resources Canada. October 6, 2016. 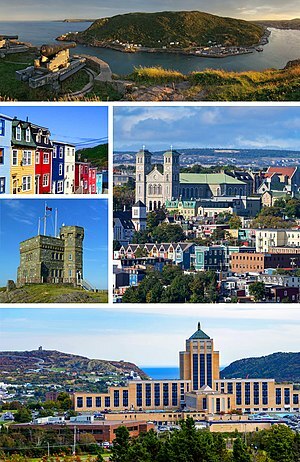 ↑ "Census Profile, 2016 Census - St. John's, City [Census subdivision], Newfoundland and Labrador and Canada [Country]". Statistics Canada. สืบค้นเมื่อ 2018-02-28. ↑ "Median total income, by family type, by census metropolitan area". Statistics Canada. Archived from the original on 3 November 2011. สืบค้นเมื่อ 5 August 2011. ↑ Melvin Baker. 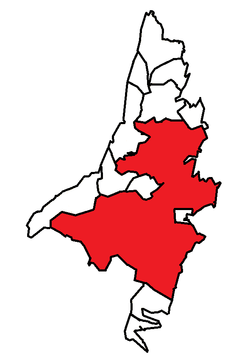 "St. John's". The Encyclopedia of Music in Canada. The Canadian Encyclopedia. สืบค้นเมื่อ 2011-01-02. 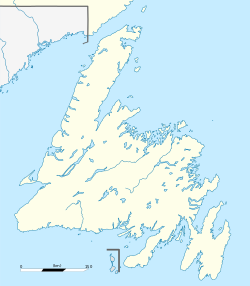 ↑ "Cape Spear's 'most easterly' sign to stay in place". Canadian Broadcasting Corporation. 29 June 2005. สืบค้นเมื่อ 2011-01-02. ↑ "John Cabot's Voyage of 1497". Newfoundland and Labrador heritage Web Site Project. Memorial University of Newfoundland. November 2010. สืบค้นเมื่อ 2011-08-08. ↑ "History of St. John's". St. John's Kiosk. Archived from the original on 3 January 2011. สืบค้นเมื่อ 16 January 2011. ↑ "Table 1: Annual population estimates by census metropolitan area, July 1, 2017". Statistics Canada. สืบค้นเมื่อ 2018-02-13. ↑ "Population of census metropolitan areas". Statistics Canada. สืบค้นเมื่อ November 3, 2016. หน้านี้แก้ไขล่าสุดเมื่อวันที่ 11 สิงหาคม 2561 เวลา 00:30 น.